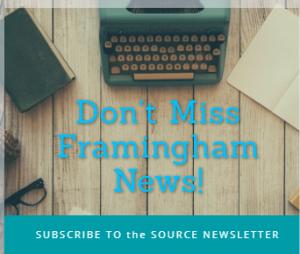 FRAMINGHAM – The MutualOne Charitable Foundation, announced today, Feb. 13, it has awarded $6,555 to support the Suitable Solutions Program at Framingham State University. The $6,555 grant to Framingham State University was among awards totaling $128,068 in the MutualOne Charitable Foundation’s most recent round of funding. 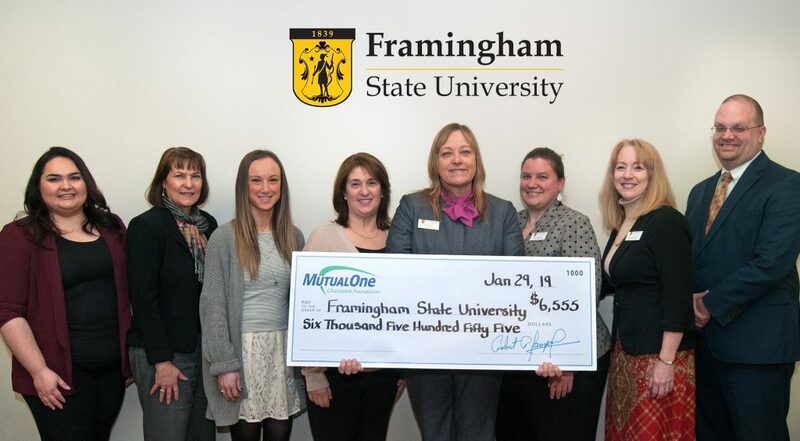 Celebrating the MutualOne Foundation’s grant to the Suitable Solutions Program at Framingham State University are from left): Clarice Santos, VP client services & electronic banking at MutualOne Bank; JoAnne Amann, FSU career counselor; Christen Caragian, Suitable Solutions student participant; Sarah Falber, FSU career counselor; Dawn Ross, FSU director; Jill Gardosik, FSU internship coordinator; Meg Nowak Borrego, Ph.D., FSU dean of students; and Greg Kennedy, SVP retail banking at MutualOne Bank.